Can I use a dimmer switch on low voltage lights? Yes, you can use a dimmer switch on low voltage lights if you use an appropriate low voltage dimmer. Magnetic low voltage lights require a magnetic dimmer, and electronic low voltage lights require an electronic dimmer. Line voltage lights may also be dimmed with the low voltage lights if they are on the same switch. For instance, if you have a dining table chandelier with low voltage recessed lighting on either side, they may all be dimmed with the low voltage dimmer. Warning: Low voltage lighting may be damaged if the dimmer used is not a low voltage dimmer. When can I use a dimmer switch? 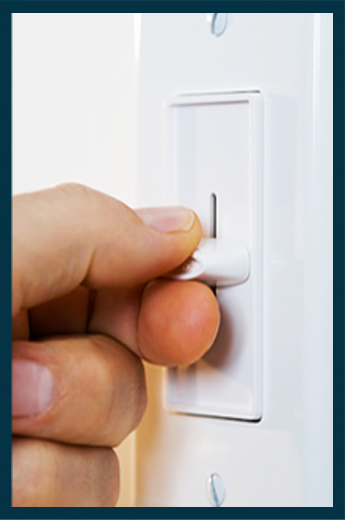 Most rooms can benefit from dimmer switches. The dimming feature provides flexibility for different holidays or moods, enhances highlights in the room and saves energy. For example, in the dining room a dimmer allows for soft light for dining and bright light for reading or cleaning. Dimming a light, even if only slightly dimmer than usual, will save energy and extend the life of your light bulbs.